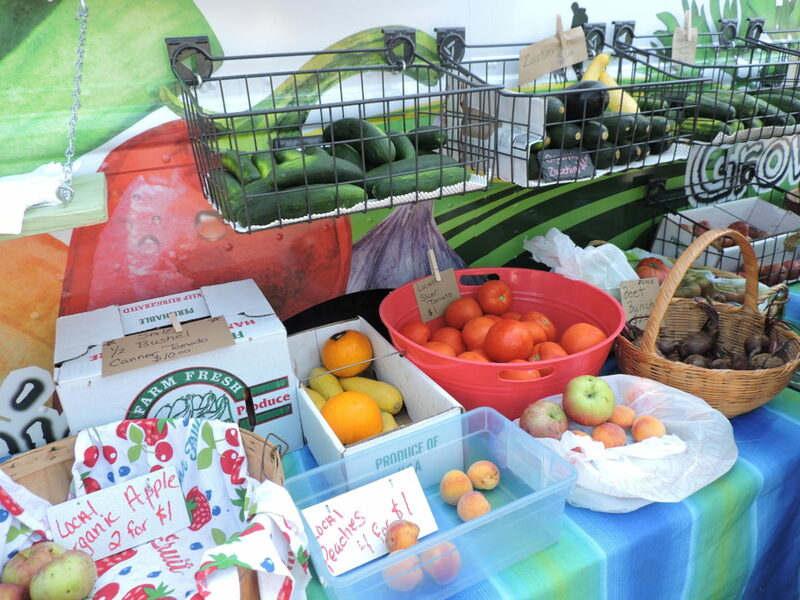 File Photo Grow Ohio Valley offers a mobile farmers’ market at various locations throughout the area. WHEELING — A small army of AmeriCorps members are on their way to Wheeling to help a local organization further its mission of putting fresh, locally grown food on area residents’ plates. Grow Ohio Valley is one of 13 West Virginia nonprofit organizations that will receive a total of $5.8 million of AmeriCorps grant funding from the Corporation for National and Community Service, the federal agency that administers AmeriCorps and other volunteering and service programs. Grow Ohio Valley’s grant will be used to improve access to fresh, locally grown produce in distressed neighborhoods in Brooke, Marshall and Ohio counties. The grant will provide funding for 17 AmeriCorps members who will work for the organization. Ken Peralta, executive director of Grow Ohio Valley, said the grant will allow the organization to bring people in who are dedicated to Grow Ohio Valley’s mission. “We’re so excited about this grant. It’s a game-changer, I think, in a way, to be able to have so many people focused on improving food access and improving the food systems in our region,” Peralta said. According to Peralta, these new AmeriCorps members will contribute to specific projects such as developing school gardens where fresh produce can be grown for students to eat, and planning “food justice” immersion trips for college students. AmeriCorps members will also help with the actual growing of produce and operation of the mobile farmers’ market that brings produce to underserved areas. 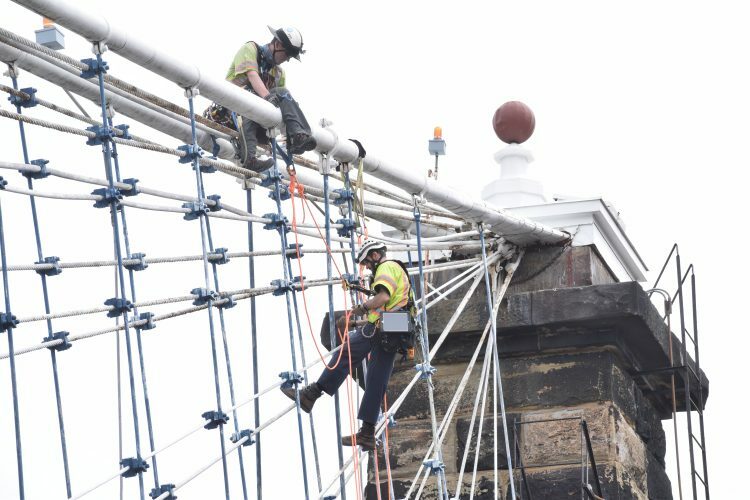 Peralta said Grow Ohio Valley hopes to recruit locally and nationally in order to provide opportunities to West Virginians while also bringing in new ideas and attracting people to Wheeling. He said many of Wheeling’s community leaders have been members of AmeriCorps and other national service organizations. 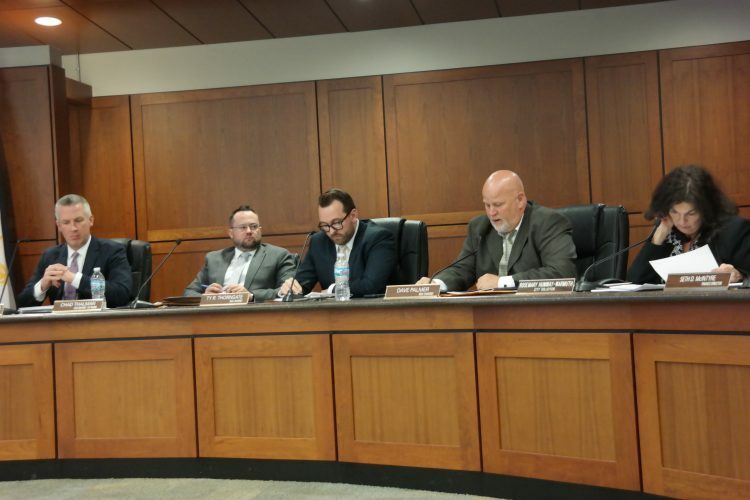 “These are great programs that attract really quality leaders and I’m excited to groom a new generation of leaders through Grow Ohio Valley,” he said. Heather Foster, executive director of Volunteer West Virginia, said her organization has focused a lot of its recent work around improving health outcomes. Foster said Grow Ohio Valley was chosen because of its health mission and the collaborative nature of Wheeling nonprofits. The grant recipients were announced by Sens. Shelley Moore Capito, R-W.Va., and Joe Manchin, D-W.Va., in a press conference held by the Corporation for National and Community Service and Volunteer West Virginia. Capito said that these grants will help AmeriCorps further its positive impact in West Virginia. “These are going to be very meaningful grants for the state of West Virginia. … National service is critical and is a cost-effective way to solve a lot of our problems,” said Capito. Manchin also said he was excited about the prospect of boosting AmeriCorps funding. “This is a big day for West Virginia. I’m so pleased at the great service to come,” he said. In addition to Grow Ohio Valley, Volunteer West Virginia also awarded grants to Appalachian Forest Heritage Area, Citizens Conservation Corps of West Virginia, High Rocks Educational Corporation, Preservation Alliance of West Virginia, Ohio West Virginia Youth Leadership Association, Mid-Ohio Valley Board of Health, and Playmates Child Care. The Corporation for National and Community Service also selected four West Virginia non-profits through to receive federal AmeriCorps grants. The four competitive grants were awarded to West Virginia University, Education Alliance, Appalachian Forest Heritage Area and United Way of Central West Virginia. Of the $5.8 million in grants awarded to West Virginia organizations, $3.9 million will go directly to the nonprofits to support their projects and the hiring of 883 new AmeriCorps members. The other $1.9 million will provide for the education awards that AmeriCorps members receive upon completion of their service. These scholarships help pay for college, vocational training, or help repay qualified student loans.